Torremolinos Fair and Romeria de San Miguel 2014 will be taking place from Friday September 26 until Monday September 29. The Romeria or "pilgrimage" will take place on Sunday September 21, 2014. This is a great place to soak yourself in the local Spanish culture eating traditional Spanish food like tapas and paella, dancing to flamenco in the streets and drinking homemade sherry or local beer. 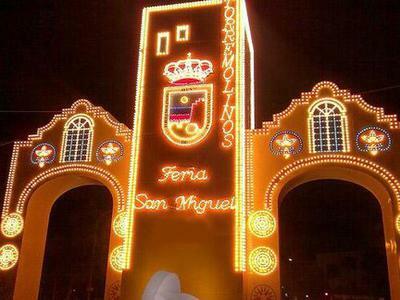 The Torremolinos fair is in honor of the patron saint San Miguel and includes parades, a children's fair, and much celebration during the day. This event has long been one of the most popular and important festivals in the area. Read more on what to expect at a fair in Spain. See a full list of fairs and festivals on the Costa del Sol.